Years ago, I served on Maryland’s Plant Reintroduction Task Force, which was largely convened to address the merits, legal ramifications, and biological soundness of reintroducing rare taxa “recently lost from its historic range” or to enhance dwindling populations that remained in their historic natural settings (PRTF 1999). 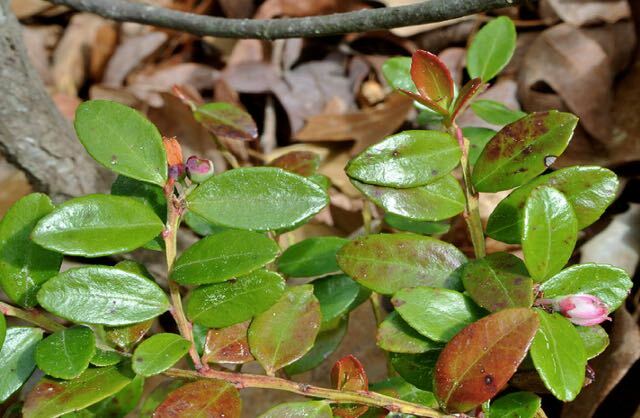 Specifically at the time, this involved a proposal by coastal bog experts Keith Underwood and Phil Sheridan to dig up for propagation the three dwindling survivors of Box Huckleberry (Gaylussacia brachycera) from a sandy hillside in Oak-Pine-Heath Forest along the upper Magothy River in Pasadena, Maryland. Box Huckleberry is a globally rare, highly clonal, ice-age relict. Its natural range is essentially the Mid- Atlantic region, occurring in Pennsylvania, Delaware, Maryland, West Virginia, Virginia, Kentucky, North Carolina, and Tennessee (Pooler et al. 2006). It occupies all physiographic provinces throughout its range, but is known only from the coastal plain of Delaware and Maryland. The Magothy River site was Maryland’s last and only known station for this plant. The Task Force ultimately decided that those few plants would likely be lost in the near future and that the best way to conserve this Maryland genome was to remove the plants from the wild and propagate them ex situ at the USDA tissue culture lab at Beltsville, Maryland. Horticulturists are usually very good at finding ways to successfully grow finicky plants, and this was no exception. USDA’s only condition for participating in the project was a stipulation that allowed propagated Box Huckleberry clones from the plants to be made available to the nursery industry. Apart from this stipulation, this project met the principles of ecological restoration by safeguarding identical plants to be planted in exactly the same documented location and situation where they originally grew – or very near, if there was disturbance to the original site. So this was not a case of ex situ conservation, but rather an example of ecological restoration and rare plant reintroduction. Odd things have been afoot regarding Box Huckleberry since those days. Last year the New York Times and The Washington Post reported that the National Arboretum intends to hybridize together Box Huckleberry material from all of the known, remaining wild sites in the world. The National Arboretum stated correctly that harboring a collection of propagated plants from Box Huckleberry sites in a museum- like setting at the arboretum is “preserving a genetic resource for the future” (DePalma 2014). However, this remains true only so long as the plants are not cross-pollinated or hybridized with each other. It is against the principles of ecological restoration to reintroduce or plant hybridized Box Huckleberry (or other artificial taxa) into natural areas where man-made diversity did not formerly exist, as this practice is as unnatural as the entity that was artificially created. As to National Arboretum plans to develop traits in Box Huckleberry through cross-breeding “that nursery growers need in garden plants” (Higgins 2014), I strongly agree with now-retired scientist Jim Long that this is an irrelevancy at best and a serious blurring of the separate and distinct worlds of cultural landscapes and conservation biology. In any case, including an ornamental gardening component was probably a requirement to satisfy a purported research deliverable of the Arboretum, as noted by MNPS past president and biologist Kirsten Johnson. I’m sure Dr. Frankenstein beamed giddy joy watching his creation take its first steps, but let’s not get carried away here. Longleaf Pine (Pinus palustris) is wholly artificial planted well outside its native range and habitat in northern Virginia and the piedmont (VDOF 2014), not to mention Gulf Coast pitcher plants and other deep south flora illicitly planted in Maryland and Virginia seepage bogs; Sweet Pepperbush (Clethra alnifolia), Inkberry (Ilex glabra), and other “BayScape” plantings at the Sideling Hill Visitors Center in the Maryland Ridge and Valley; unnecessary “pollinator garden” plantings of imported wildflower seed into natural areas at the exceptionally diverse Manassas Battlefield Park; introducing southern species northward to preempt assumed climate change effects; and so on. To my mind, these well-intentioned but misapplied practices also include the almost fanatic efforts to “restore” the once-dominant American Chestnut (Castanea dentata) to Appalachian forests and other natural lands through the introduction of 94% Asian-American Chestnut backcross hybrids. Plantings apparently are feverishly underway; was an Environmental Assessment (EA) and Environmental Impact Statement (EIS) ever conducted for this wide-ranging, potentially damaging initiative!? None of these examples meet the criteria of conservation biology or ecological restoration, nor in my opinion do they further the future of the species they seek to preserve. Adding veneers of artificiality only makes matters worse and moves things farther from nature. Sometimes there are consequences to our folly and we simply have to live with the results. 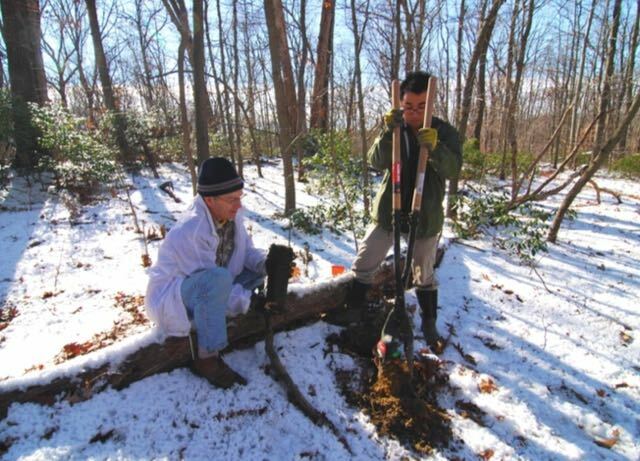 Arlington Regional Master Naturalist Daniel Elmer, left, and Matt Bright of Earth Sangha in December 2013 planting a 100% pure American Chestnut (Castanea dentata) sapling along an Oak-Heath Forest ridge at Dora Kelley Nature Park in the City of Alexandria, Virginia where scant, remnant populations of American Chestnut naturally occur. Earth Sangha sourced and successfully propagated a hundred or so saplings from heavily fruiting American Chestnut thickets along the summit of the Northern Blue Ridge Mountains in Virginia. No existing native vegetation at the park was displaced or disturbed during the plantings; saplings were planted in old tree throws and other open areas. All of these plantings may not grow to produce fruit in the coming years, but at least they are real! Photo by R.H. Simmons. As far as conservation biology and ecological restoration are concerned, a taxon should not be considered native if it is the product of hybridization, genetic alteration, and other human manipulations. Once a species is artificially moved out of its niche – whether introduced elsewhere beyond its natural range or denatured to be more plastic in its adaptability or usefulness – it ceases to be a natural entity or truly functioning component of the ecosystem. This is not a “purist” point of view – as contrarians are quick to claim – but a centered, realistic alignment with the natural world supported by decades of empirical evidence and a deep appreciation for leaving things natural and causing as little disturbance as possible. A native plant society, by definition, should be preeminently concerned with the sustainability of native flora, wildlife, and natural communities of the particular region it represents. The same inherently applies to the conservation biologist. Expressing this sentiment at a time when there was much more of the natural world around us and far fewer threats in the way of artificial disturbance and non-native invasive species are Smithsonian botanist Lester Ward’s comments on the effects of urbanization: “In many ways the botanist looks at the world from a point of view precisely the reverse of that of other people. Rich fields of corn are to him waste lands; cities are his abhorrence, and great open areas under high cultivation he calls ‘poor country’; while on the other hand the impenetrable forest delights his gaze, the rocky cliff charms him, thin-soiled barrens, boggy fens, and unreclaimable swamps and morasses are for him the finest land in a State. He takes no delight in the ‘march of civilization’, the ax and plow are to him symbols of barbarism, and the reclaiming of waste lands and opening up of his favorite haunts to cultivation he instinctively denounces as acts of vandalism” (Ward 1881). Spectacularly rugged, calcareous forest along the steep bluffs of the Potomac River at Chapman State Park in Charles County, Maryland. This exceptional site preserves a diversity of globally rare natural communities and rare species twenty miles south of the Nation’s Capital. Photo by R.H. Simmons. It is disturbing that in this age of supposed scientific advancement there are so many manipulations and poor management practices of natural lands and wildlife. This surely speaks to the increasing disconnect our society faces from a lack of exposure to the natural world and meaningful understanding of it. More inexcusable, though, is the apparent paucity of quality science education and mentorship at academic institutions that were renowned for such not long ago. This seeming ignorance of basic conservation biology principles has even extended to esteemed scientific and geographic journals. These are the folks with authority and responsibility to instruct the next generation of those open to learning such principles. How many academics, professors, and land managers today consider it indispensable to teach a “Do No Harm” ethic to those working with the natural world? How many of them even know what it means, let alone its importance? As to the “hope” part of this diatribe, I would suggest a “dance with the one that brought you” regimen where natural land restoration is concerned: simply utilize the common, native successional plants of the appropriate local region, whether for green roof projects, highway medians, parking lots, infill development, whatever. Another method more closely aligned with nature is to refrain from planting and allow the existing native seedbank to re-emerge and naturally revegetate a site (with an accompanying non-native invasive plant removal program). This is what nature has always done with tough, disturbed sites and bare ground, and we sure have produced a ghastly legacy of land-use disturbance over the years. Nonetheless, the outgrowth of these naturally healed lands, as well as the tens of thousands of acres of remarkable, remnant wild areas in and around most cities, are what most of us have grown up with and love and appreciate – mainly because they are real and natural! Healing the land with common, native successional and “foundation” plants restores functionality to natural systems; carpeting areas with mass-produced rare and endangered species does not. Rare taxa find their niche and relevancy in the context of stable, functioning, non-degraded communities and the particular native habitat to which they belong. This is one of many reasons rare species are not recommended for use in general ecological restoration plantings, let alone ornamental landscaping. To my way of thinking, preserving large tracts of natural land; minimizing disturbance; providing quality stewardship (mostly entailing non-native invasive species control); and using appropriate native flora when planting is needed are the best means to improve and hopefully restore conditions in the natural world. We are lucky to have the next generation of talented, enthusiastic, and environmentally concerned scientists like plant biologist Clark DeLong (2014) at the table with us as we pursue best management practices in conservation biology and land restoration. We are also fortunate to have the stalwart conservation advocacy and guidance of the Maryland and Virginia native plant societies, Earth Sangha, Mattawoman Watershed Society, Arlington Regional Master Naturalists, and others, in our regional conservation efforts. What I would hope is that nature’s conventions, and not human designs, always lead the way. NOTE: Reprinted here with kind permission from the Maryland Native Plant Society’s Marilandica, Volume 6, Issue 1. Bright, C. and R. Simmons. Where does ecological restoration fit? The Acorn, November 2012. DeLong, C. 2014. Selecting native plants for use on Mid-Atlantic green roofs. Marilandica 5(2): 5-9. DePalma, A. “An 800-year-old shot of youth.” New York Times, August 19, 2014. Horton, T. 2010. Revival of the American chestnut. American Forests, Winter 2010. Pooler, M.R., R.L. Dix, and R.J. Griesbach. 2006. Genetic diversity among accessions of the endangered box huckleberry (Gaylussacia brachycera) based on AFLP markers. Journal of the Torrey Botanical Society 133(3): 439-448. Shetler, S. 2003. Role of native plant societies in grassroots conservation. Marilandica 11(1): 22-23. Solomon, C. “The Wilderness Act is facing a midlife crisis.” New York Times, July 5, 2014. Ward, L.F. 1881. Guide to the flora of Washington and vicinity. Bulletin of the U.S. National Museum No. 22. Washington, D.C. I was very disappointed with the editorial. Although Rod denies being a purist, his position basically was that any sort of horticultural use of native plants was subversive. I’ve always loved gardening and spend quite a lot of time with it. I also like having a variety of native plants available (straight species, locally native), and patronize native plant nurseries and plant sales just as I do specialty herb nurseries like Debaggio’s. I just keep gardening and what’s in my garden separate from and out of the natural world. To treat natural areas otherwise – as a setting or outlet for one’s creative or horticultural interests – is to me a greatly misapplied and destructive practice, whether intentional or not. This article originally appeared in the winter 2015 edition of Marilandica, the publication of the Maryland Native Plant Society. Kirsten, yes, and thank you again for your permission to reprint. Credit is given directly at end of post, as well as in the news box on our homepage. Again, for what it’s worth, the article is not discussing native plant use in home landscapes, a la Doug Tallamy, Rick Darke, native plant nurseries, etc. 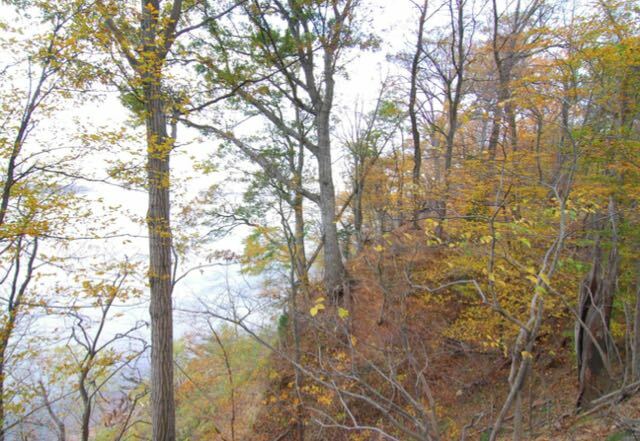 It is centered solely on the appropriate use of native plants in natural areas (ecological restoration). Aldo Leopold said that “one of the penalties of an ecological education is that one lives alone in a world of wounds.” While this remains true in the larger part—a third of our “advanced society” rejects evolution(! )—one who can see ecologically is now less alone than when Leopold wrote. Today a network of people see, and an impulse among many is to lick the ecological wounds. The problem is that in the Anthropocene, the wounds have become gangrenous. Where does one start? We live in a Frakenworld that obscures clarity of vision, and that outruns any pace to keep up. So we are reduced to licking one wound or another. Let’s stitch together a Franken-variety of Box Huckleberry that can survive in a nation whose national flower is, as noted by one social critic, the concrete cloverleaf. Let’s outplant hither and yon to coax genetic adaption to climate change in natives, even as genetically modified organisms are unleashed onto the world helter skelter and at increasing rate—pulp wood, pulp salmon, Chinese-American Chestnuts, crops that survive an onslaught of herbicides; even people! . With wounds upon wounds to lick, those who see jab at each other’s priorities. Should we protect the Monarch butterfly, or apply our limited resources to other species? Should we fight Loblolly deserts, or fight the desertion of principles to restore species only where they belong? We live in a world so removed from nature that a misplaced Long-leaf Pine plantation is excused through the reassurance that it can’t escape into a fire suppressed landscape. We live in a world so removed from nature that even “where it belongs” is arguable, with climate changing during a human lifetime rather than a geological time. And we live in a time where too few care. How could they? Less than half of Americans understand that humans are cooking the planet. They are convinced otherwise by the unlimited marketing of fossil fuel industries and the politicians in their employ. Like some sphincter, their conviction constricts a willingness to expend resources on conservation. And so while population burgeons, and the too-few who see the world’s mounting wounds cannot do otherwise than act, in the end we must ask, can these acts be enough? Great post! Thank you Rod. I agree with 99% of this article. The ecological modelling approach is the only real way to conserve or renew biodiversity. No native plant should be viewed in isolation, as deep time has afforded it deep connections with its habitat, its context and quite local and specific site conditions (including soil pathogen levels). Habitat modelling with a local lens is the best way to maximize the potential of any plant! While I do use rare local species plant material in urban installations (as a means of conserving a local genotype that is at risk), I have found that the best approach to ecological restoration is to use a very dense and diverse array of plants that actually occur together, in the wild, at site with similar conditions. If one can be patient enough to simply nurture natural woody succession, even better! Some of the most common plants provide the vast majority of the ecosystem services we can’t live without. Enjoyable read, keep it up. I enjoyed reading this informative piece.